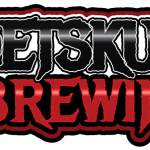 PetSkull Brewing Manitowoc WI Brewery and Tap Room » Snow Day Sale Today! Slashing Prices on HUNDREDS of beers! Snow Day Sale Today! Slashing Prices on HUNDREDS of beers!